After a lovely weekend of sunshine and perfect temperatures, we are now back to overcast and not quite so warm temperatures. 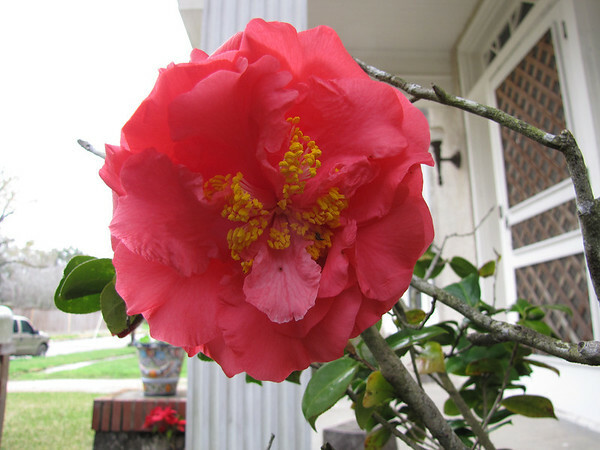 So what better to improve a mood than spotting a camellia in bloom in my front yard. Usually these bloom in November or early December and I cut them for my table. 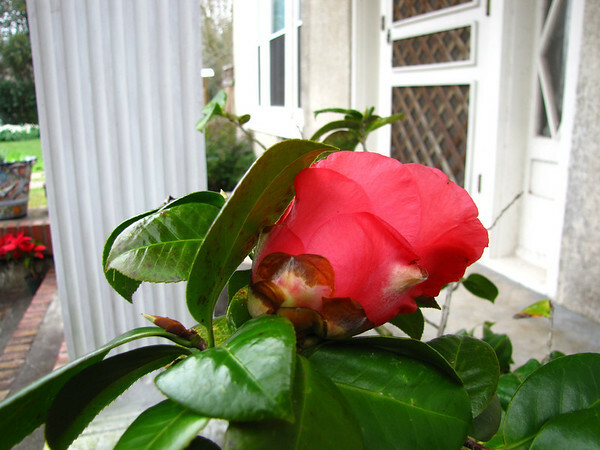 This year has not been amenable to blooms so whenever I see them—it’s a great day. 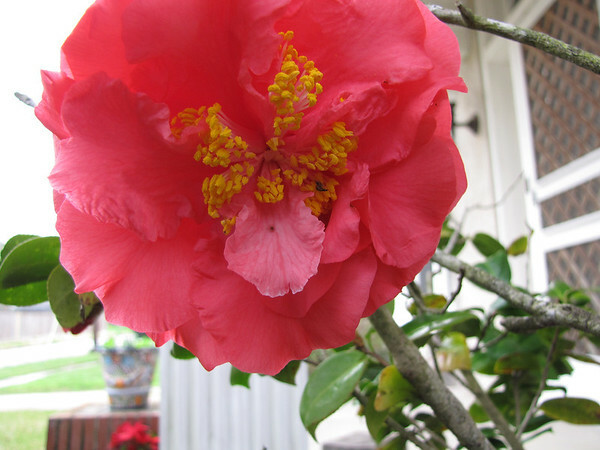 Here it is–all two blooms with a closeup of one.